In the recent couple months I’ve finally found a spinning studio that I enjoy in the Pittsburgh area, Club Cycle in Dormont. Club Cycle is a locally owned business where spinning and club music collide. Live DJs spin music during a 45 or 60 minute cardio workout. 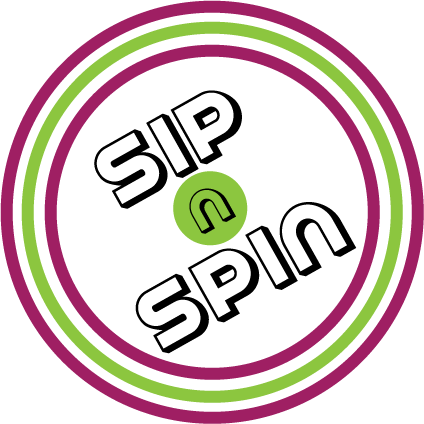 On Tuesday, June 3, 2014 at 5:45 p.m. Club Cycle will be hosting its second Sip ‘n Spin session. This class is similar to our Pittsburgh TasteBuds Wine Exchanges, but instead of eating along with an exchange of wine, you are burning calories. Newbies can enjoy their first class for only $10 if they sign-up online. Seating is limited to 20 people, but the registration system does keep track of a waiting list, so don’t hesitate to join it! Bring a bottle of wine valued around $15 and come exchange with the funnest spinning group in Pittsburgh. Fingers crossed that DJ Kurve is the DJ because not only does he mix the music live for the class, but there are also videos to help distract the fact that you are working out.